In an earlier blog I wrote about three major appliance flops: the Whirlpool Polara Range, the Maytag Drying Cabinet, and the Jenn-Air Accellis 5XP speed cooking microwave. Now it's time to look at three really successful appliance launches. I'm sure that there are others, but these familiar products come to mind as having become very popular. 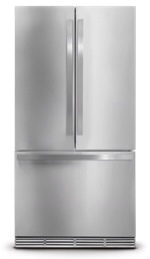 For many years Amana was known for being a leader in refrigerators configured with the freezer on the bottom. Though a small part of industry sales, Amana dominated the bottom freezer category. Then in the late '90's Amana took a bottom-freezer refrigerator and replaced the upper refrigerator door with split refrigerator “French” doors. In a matter of a few years the French Door category had became a big hit, and all the major brands were joining in with their own French Door refrigerators. Today, the convenience of having a full-width upper refrigerator compartment along with the stylish and practical split refrigerator doors continues to captivate a large segment of the refrigerator market. About the same time that Amana was getting busy with their new refrigerator, Maytag introduced the Neptune washer, a full-sized front loading washing machine for home use. At $1099, more than twice the price of an average top loading washer, the Maytag Neptune became an instant success. 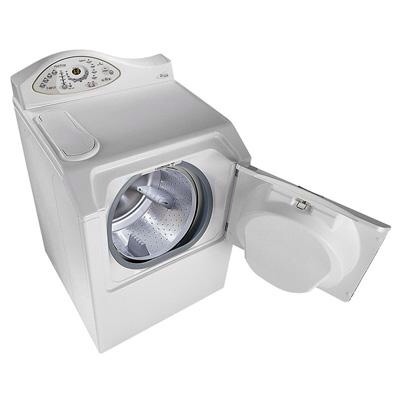 The innovative design along with the energy saving story, and the power of the Maytag brand name all combined to make the Neptune a sought after washing machine. Whirlpool quickly followed with their own very successful front loading washer, and the U.S. market for home washers was changed forever. Fraught with some product reliability issues, Maytag subsequently dropped the Neptune, but by then most major appliance manufacturers were selling front loading washers to satisfy the ever-growing consumer demand. Though the microwave oven for home use was introduced in 1955, it wasn't until the mid-70's that microwave ovens were widespread in America's homes. In 1978 GE introduced the SpaceMaker® combination microwave oven and range hood. Countertop microwaves such as Amana's Radar Range were in high demand, but they occupied valuable counter space. The over-the-range microwave hood solved that problem. The Spacemaker® was a stroke of marketing genius for General Electric not just because of the product's consumer appeal, but also because GE leveraged their strength in the residential builder market to have the SpaceMaker® included either as a standard or an option in new homes. 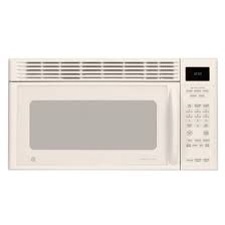 Consumers' Union has criticized over-the-range microwaves as being ineffective as ventilation units, and many designers have disparaged the appliance as ergonomically unsound. Nevertheless, consumers continue to show they favor the over the range microwave hood with their votes at the cash register. These three appliances captured the interest and the wallets of American consumers. Next up: Appliances that had merit, but for some reason weren't commercially successful. Your suggestions? This entry was posted in Appliances and tagged Amana, appliance industry, French Door Refrigerator, Front Loading Washer, GE, marketing, Maytag, Microwave Hood. Bookmark the permalink. This comment was posted on my Linked-In page by Dave Del Polito. It is re-posted here with his permission. See my reply below. David Del Polito • I worked for Maytag Customer Service for over 10yrs. As a employee,Senior Service Tech, and a total of 37yrs in the business. The drying cabnit was not a big seller but it works, the JA range was a money pit and didn’t work in the end. But at least Maytag bought them all back. But to identify them as major flops, Ill give in to the JA. But GE holds the record in the most flops and outright dangerous appliances. The most recall/ fixes than anyone ! GE junk ! Good points David. I too worked for Maytag. I’m still a fan of the drying cabinet, but Maytag didn’t stick with it and did a poor job of marketing. I get your point, but I was trying to point out products that were unique and cutting edge, that failed for the most part because consumers just didn’t “get it”. GE’s a big company and had some BIG misses. Of course the dishwasher probably got the most press because of the hazards, but I think the compressor flop might have been the biggest single failure in the industry from a cost point of view. I’ve heard figures from 1/2 to 1 billion dollars. As I understand it, GE shut down the factory that made these compressors and had to replace the compressors in all the refrigerators that had them.